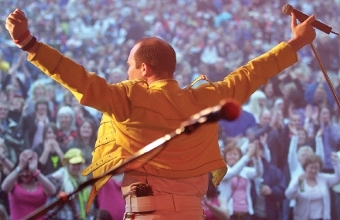 THERE are plenty of Queen tribute acts out there but Mercury can claim to be among the best after winning the National Tribute Awards (yes, they really exist!). Joseph Lee Jackson is said to be able to match the extraordinary vocal range and outstanding delivery of Queen’s original singer Freddie Mercury, while the intricate guitar work of Glenn Scrimshaw apparently gets close to that of Brian May. Formed in 1998, Mercury have played at theatres, festivals and major shows in the UK and Europe – from Holland to Hungary, from Majorca to the Cardiff’s Millennium Stadium. Other prestigious performances include headlining a New Year’s Eve festival in Dubai which was broadcast live to millions via MTV Asia as well as an exclusive concert for Queen’s own Roger Taylor. The show includes We Will Rock You, A Kind Of Magic, Bohemian Rhapsody and Killer Queen as well as some additional tracks from the band’s vast back catalogue. YOU can find out for yourself when Mercury perform at the New Victoria Theatre, Woking, on Wednesday (February 18).